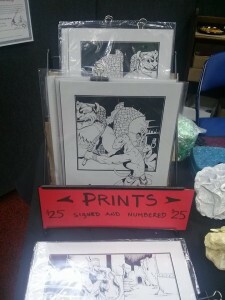 Whenever I go to conventions or shows I usually bring a selection of prints and sometimes originals of my past and present art work. It’s a nice way to leave a convention with something special that won’t break the budget. As with my sculpted pieces, I will be offering signed prints as well. Coming soon.